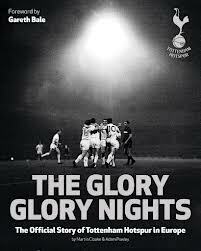 With the year ending in 1 all Spurs fans will be hoping for a place in the fifth round of the FA Cup at the first time of asking but a Fulham side who acquitted themselves extremely well at White Hart Lane earlier this month stand before us on their own turf. Therefore a tough challenge but easier than the normal away fixture at Old Trafford in these early rounds. We are without Gareth Bale whose back injury whilst not requiring surgery needs further rest so having checked whether Pienaar played in Everton’s third round victory (he didn’t) I would expect him to start out left. As we stand Kranjcar is available to take that position but Werder Bremen have made a bid for his services. Despite having hardly played him at all this season Harry appears not to want to lose his services – apparently Niko does not want to play in Germany either. 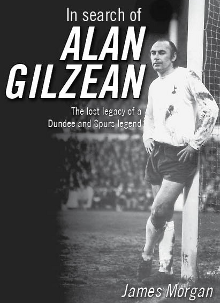 That poses a problem for Spurs. We have a heavy roster of players and need to clear out as well as adding. Already this month Keane did not leave for Birmingham with a question of increased wages being suggested. Keane denies this and Birmingham’s record in the market allows it to be swept away. Now West Ham are prowling and suggest that “no stone will go unturned” in an effort to sign him. That shouldn’t be a problem as we already hold an open door for him but what of the wage demands? Will personal terms be possible to agree? With Niko if it’s Germany or the bench the bench appears to be favourite. At least David Bentley wanted to play football when going out on loan. Last week we were surprised by the Gomes injury and Cudicini stepped in and provided a capable performance. I would expect him to continue for this game as Gomes only returned to training on Friday. If we are to make changes on the field for this game right back might be one position. Corluka or Hutton? I would expect Hutton but if Charlie was given the nod it would not be a disaster for us. With Ekotto fit to return at left back it allows for Gallas and Dawson to continue with Bassong dropping back to the bench. Earlier in the month Seb had suggested he might be ready to move on but after a discussion with Harry he is once again committed to the cause. As it stands a decent decision, but with Woodgate nearing fitness things might get tough if he makes the 25 man squad for the second half of the season. If he could play I would rather it was for us – maybe from the bench – than for another Premier League outfit. 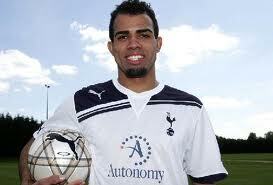 Palacios has not yet recovered from his injury so that leaves Jenas or Sandro competing for the shirt. I think Jenas is the man for this game with his longstanding experience and fourth rating for midfield passes this season. Sandro will make the bench and may get a chance of the game is secure. Lennon and Modric will play their normal roles and Van Der Vaart will support the lead man. Pav is available once more after injury but I expect Defoe to continue with Crouch available from the bench should the change be required. Without Zamora Fulham are not the same side but Dempsey is a useful player and Andy Johnson caused us problems as an Everton player so we need to be wary. Last time out they contributed to their downfall with a pantomime own goal but we shouldn’t expect them to bear us similar gifts. Therefore a tough test at Craven Cottage that we can win if we play to our potential. 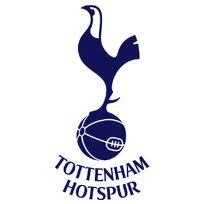 If not I expect a draw and return to the Lane as we did last year before Spurs go through to the fifth round. Prediction: I’m hopeful of a clean sheet and a goal from Defoe.